The Tamil language is very ancient and spoken mainly in the area of South India known as Tamil Nadu. It is also widely spoken in Sri Lanka, particularly in the North and the East where most of the minority Sri Lankan Tamil population resides. The Sri Lankan Tamils are an ethnic group on the island nation of Sri Lanka who are outnumbered by the Buddhist Sinhalese majority. Most Tamils in Sri Lanka are Hindu but there are also Christian and Islamic Tamil speaking minorities. Tamil translators must be aware of the dialectical and cultural differences between the three main Tamil speaking groups; the Tamils of Tamil Nadu in India, the Sri Lankan Tamils (also called Ceylon Tamils) who are descendants of the Tamils of the 13th century Jaffna Kingdom and east coast chieftaincies called Vannimais and finally the Indian Tamils of Sri Lanka also known as Hill Country Tamils or Up-Country Tamils who are descended from 19th and 20th century labourers who moved to British ruled Sri Lanka to work on the coffee and tea plantations. Not only are these three groups ethnically and historically distinct, but they each also speak distinct dialects. When providing Tamil translators, Empowerlingua ensure they are either native speakers of or experienced with the specific Tamil dialect required. All of the Tamil dialects are derived from the classical Indian language of Old Tamil which was spoken from 300 BC – 700 AD. The three main Sri Lankan Tamil dialects are Jaffna Tamil, Batticaloa Tamil and Negombo Tamil and are not mutually intelligible with Indian Tamil Dialects spoken in Tamil Nadu. 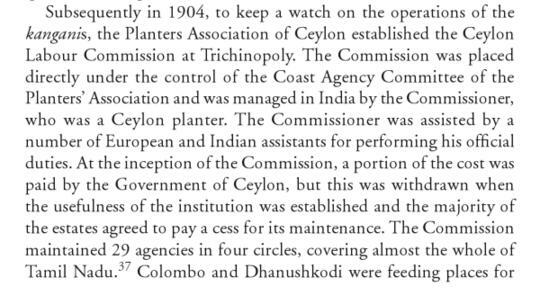 The Indian Tamils of Sri Lanka first arrived in 1827, although many more came toward the end of the 19th century and in 1904 a Ceylon Labour Commissioner was appointed in Trichinopoly, India to arrange for the recruitment and safe passage of Indian Tamil labourers to Sri Lanka (see excerpt below). Jaffna Sri Lankan Tamil dialect is more conservative and strictly follows formal modes. Some words mean different things eg. in Indian Tamil kari means meat, in Sri Lankan Tamil it means a dish. Eastern Sri Lankan Tamil has many Malayalam words and is mistaken by Indian Tamils for actual Malayalam. Although Indian Tamil in Sri Lanka is more similar to Tamil Nadu dialect than Sri Lankan Tamil, it also has more Sri Lankan Sinhalese loan words. Tamil speaking Muslims in Sri Lanka often have an Arabic accent and their grammar does not correspond to conventional Tamil. Their dialects often include many Arabic and Sinhalese loanwords. Sri Lankan Tamil vocabulary includes unique archaic words from Old Tamil and corrupted loan words from Dutch and Portuguese. © EmpowerLingua Limited. All Rights Reserved. 27 Old Gloucester Street, London. WC1N 3AX. United Kingdom.